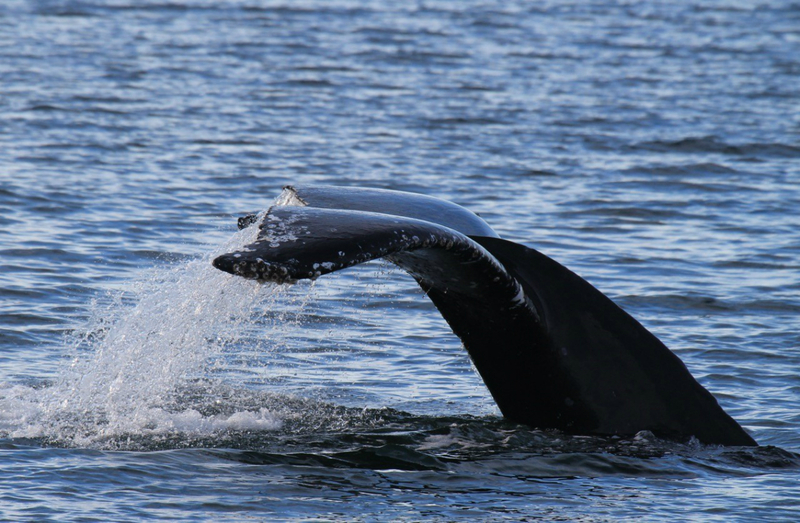 A humpback whale fluke, southeast Alaska. 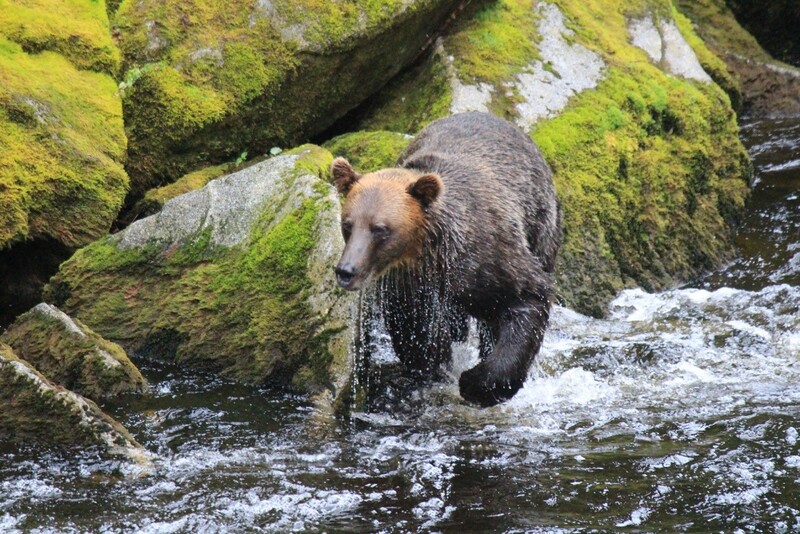 A male grizzly hunts for salmon, southeast Alaska. 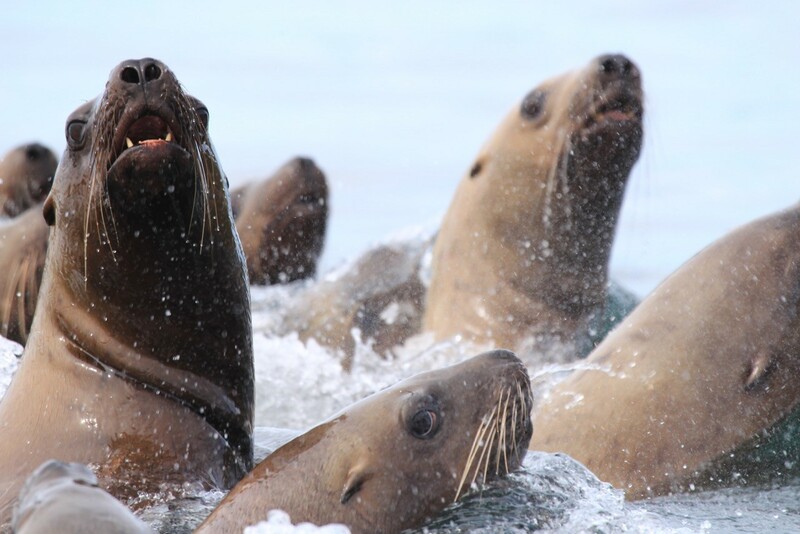 Curious young male sea lions, southeast Alaska. 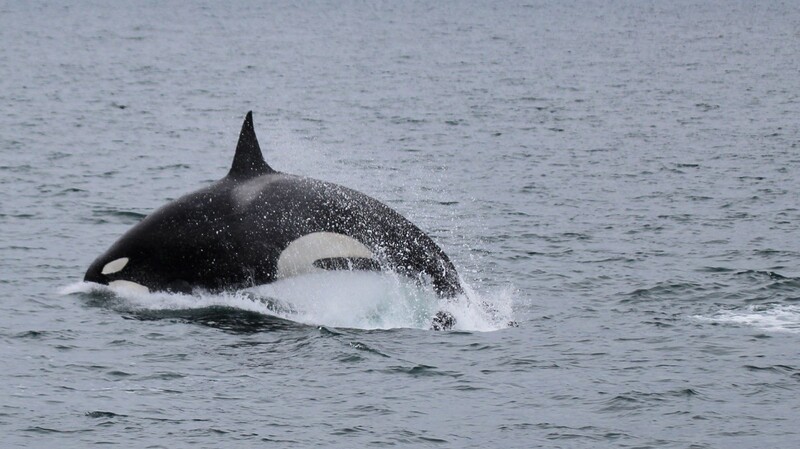 A breaching orca, southeast Alaska. 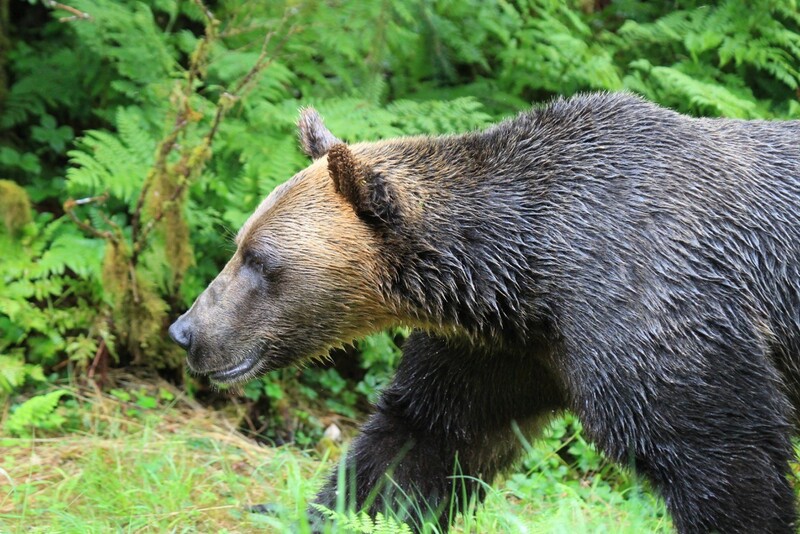 A male grizzly, Khutzeymateen, north coast of British Columbia. A humpback whale breaching, north coast of B.C. 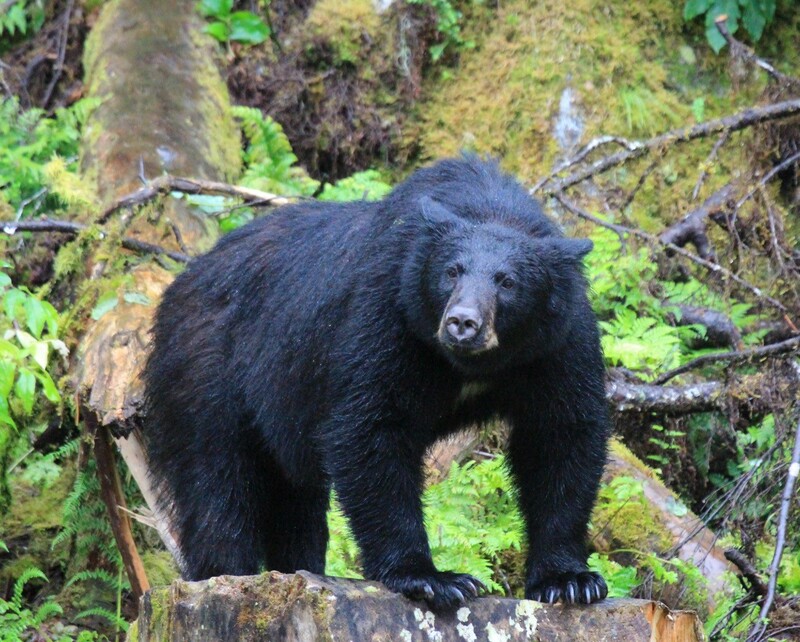 A large male black bear, southeast Alaska. 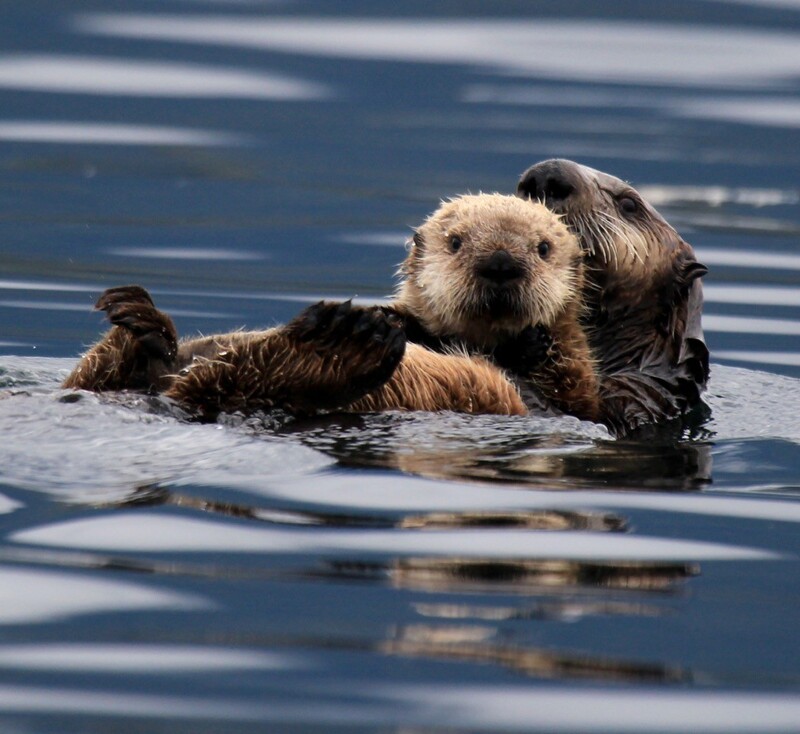 The once nearly extinct sea otters, southeast Alaska. 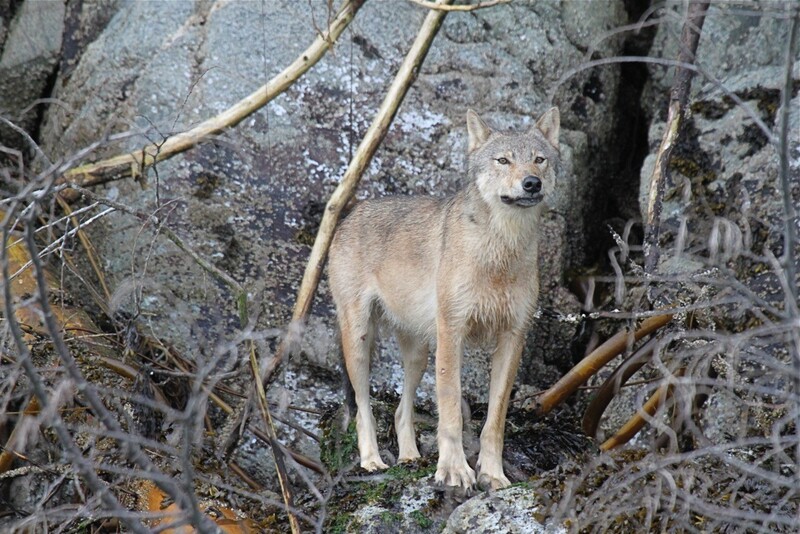 A coastal wolf, Great Bear Rainforest, B.C. 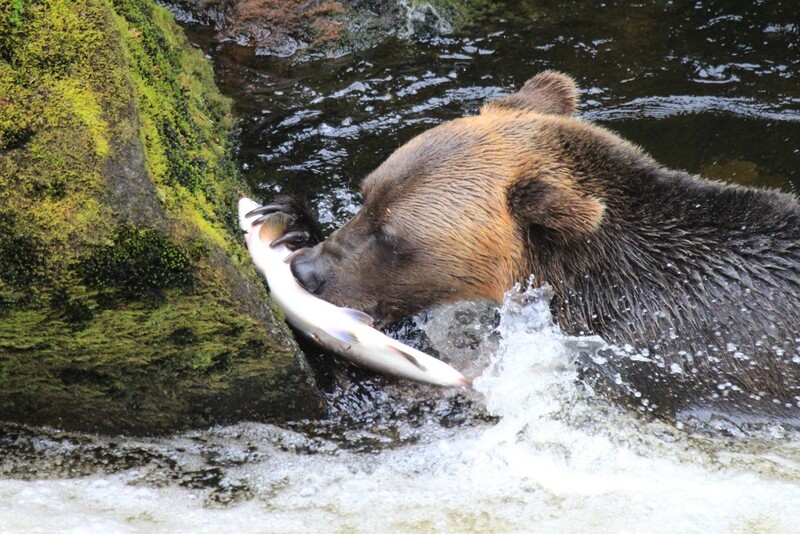 A grizzly fishing for salmon, southeast Alaska. 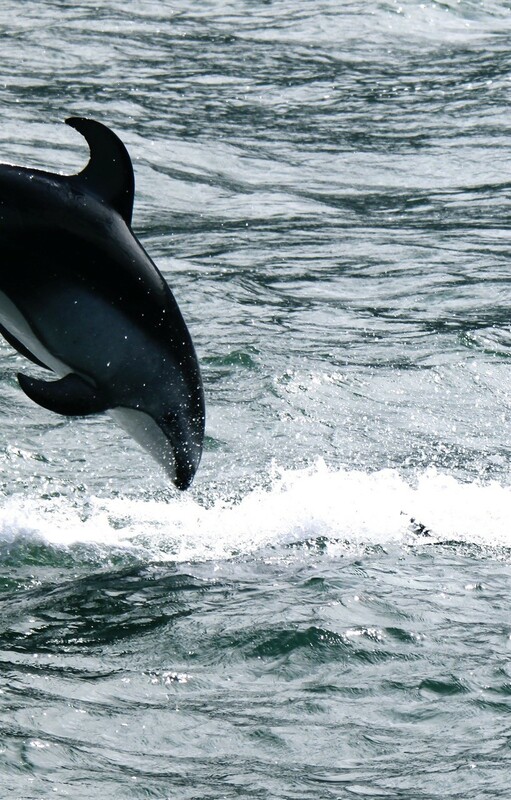 A speedy Pacific white sided dolphin, northern Vancouver Island. 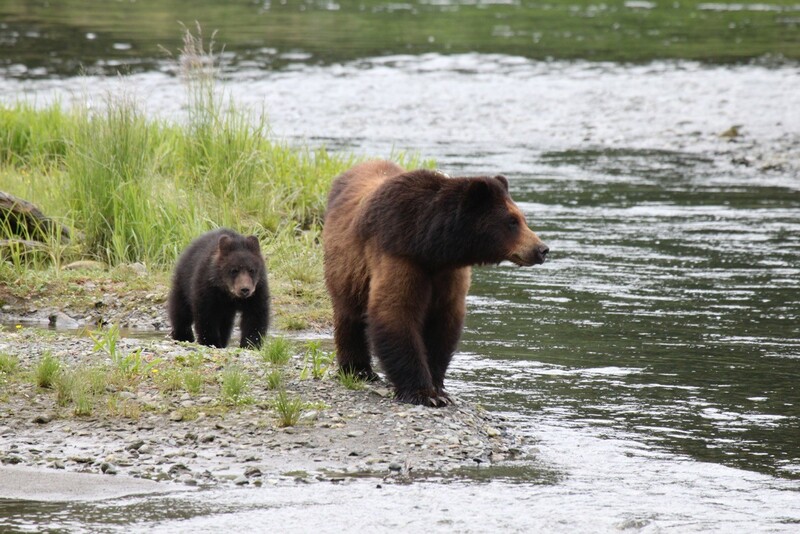 Mother and cub brown bears, southeast Alaska. 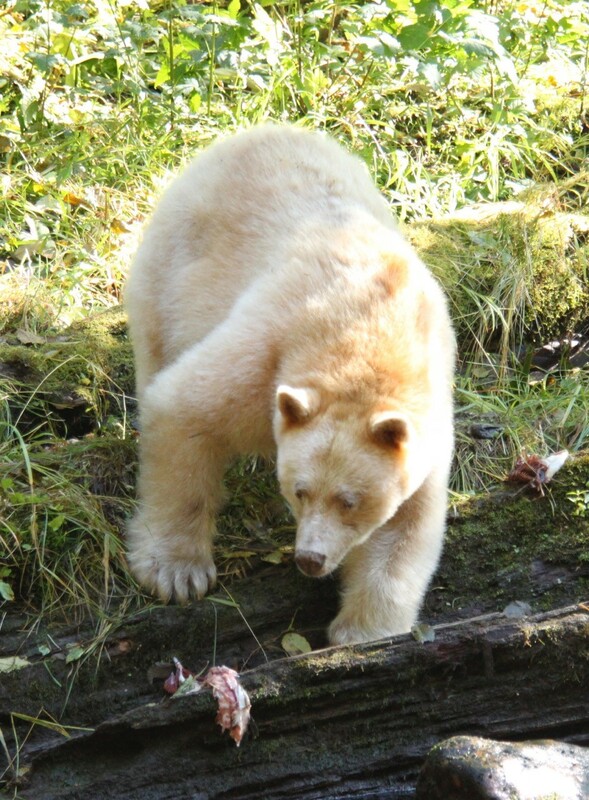 Kermode or “spirit” bear, Great Bear Rainforest. 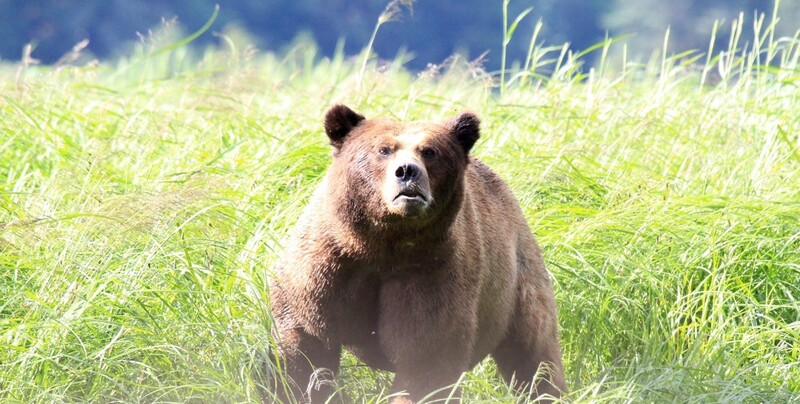 A large, handsome male grizzly, southeast Alaska. In 1974, long before eco-tourism as we know it existed, a small Vancouver-based company was formed on the assumption that people might like to hop on a sailing vessel and explore. Named Bluewater Adventures, it was conceived by Dan Culver, who began accepting guests on his trimaran (a yacht with attached outriggers on each side). In the early 1980s, the trimaran was replaced by a 68-foot sailboat named the Island Roamer. 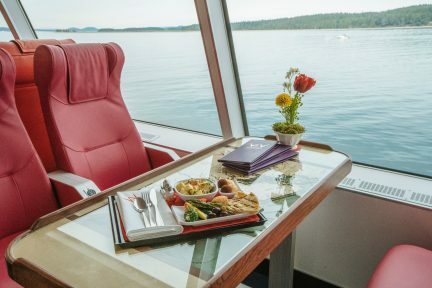 With eight private cabins and three heads (bathrooms) with showers, the Island Roamer was an informal luxury vessel, perfect for up to 16 guests and crew. In 1988, Bluewater Adventures changed hands. Vancouver’s Randy Burke had been sailing tall ships around the world for several years. Initially, the romance of far-flung and exotic destinations was too much to pass up, but newlywed Burke had become tired of exhaustive travel and a new anchor every night. When the opportunity to purchase Bluewater Adventures from Culver appeared, he leapt at it. The idea of getting to know his environment, and having control over his personal destiny, was exciting. 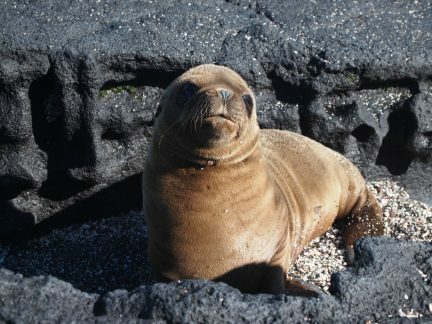 That meant not just dropping anchor, but going ashore—to experience the animals and nature so unique to the Pacific Coast. Idiosyncratic travellers agreed and the company flourished. Then, in a stroke of luck in 2003, Burke discovered the Island Roamer’s nearly identical sister ketch was for sale in Florida. With the purchase of the new vessel, christened the Island Odyssey, Burke’s business grew by 50 per cent, and he was able to increase the number of adventures. The timing was perfect: eco-tourism was in its infancy, and Bluewater was already established. In the 15 years since, business has grown even more; the world wants to soak up our breathtaking coastline, view our particular wildlife, and learn more about First Nations culture and people. That demand has prompted Burke to build another sailing vessel. 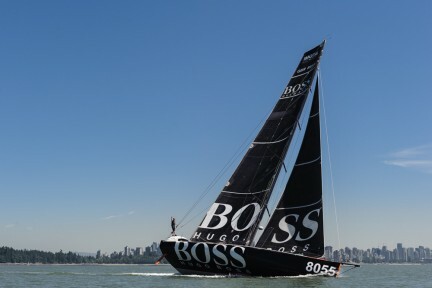 Forbes Cooper, British Columbia’s legendary boat builder, has come out of retirement for one last conquest. Cooper also built the sisters Island Odyssey and Island Roamer, but the goal is to make this new boat Bluewater’s flagship vessel. At 82-feet, this yet-unnamed sloop will share the best of her siblings’ designs, but she will be faster and more efficient. Additionally, the eight private cabins are bigger, each boasting a private ensuite. Bluewater Adventures runs six unique excursions from May through October. These life-changing trips are designed to ensure guests get the most out of each region. Decades of experience have taught Burke where the best places to view the bounty of wildlife along the Pacific Coast are—and, equally important, when the best times to visit them are. The trips begin in spring to the treasured Haida Gwaii (formerly the Queen Charlotte Islands), then one of the vessels heads north for excursions in southeast Alaska. From there, the trips move southward, to the heart of our coast: the Great Bear Rainforest and its stunning fiordland channels. 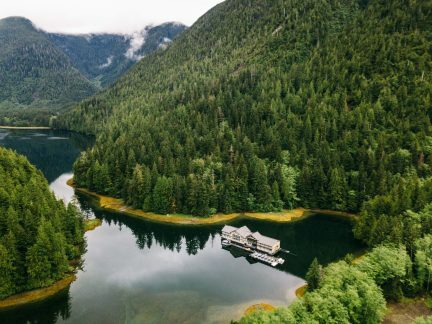 The North Coast grizzly reserve of Khutzeymateen is the next trip’s destination, followed by northern Vancouver Island, where killer whales frolic, rubbing their bodies along the gravelly shores, in the world’s only orca sanctuary. Every boat has a captain, a first mate, a cook, and a naturalist on board. From anchor, guests board zodiacs to go ashore, often several times per day. 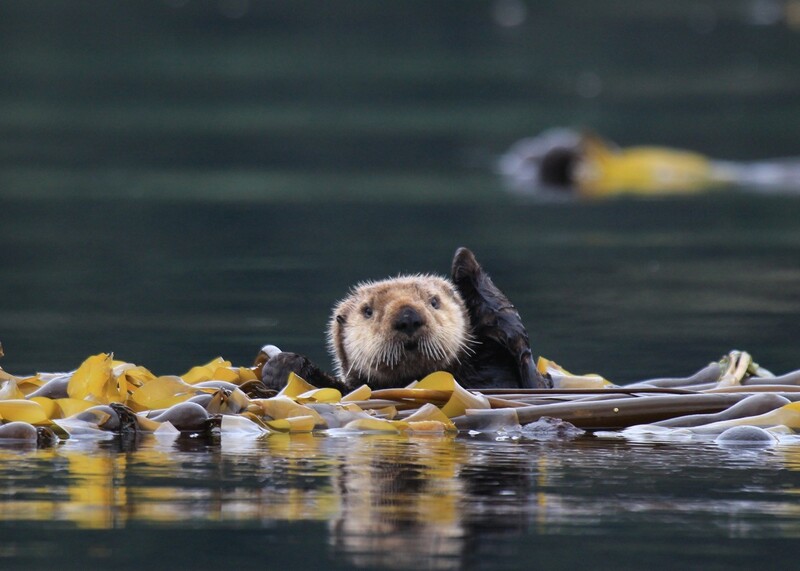 Each trip is entirely unique, with participants being able to see an array of bears (even the mystical white kermode), whales, dolphins, otters, and wolves. Wildlife and weather are not on a schedule, meaning it is truly a matter of expecting the unexpected—keep that in mind and you will come away transformed. Discover more of British Columbia.